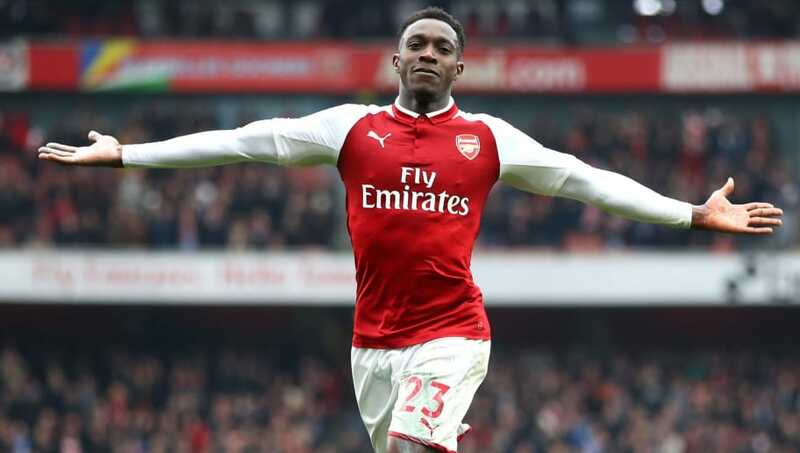 ​Crystal Palace are considering a move to sign Arsenal forward Danny Welbeck at the end of the season. The 28-year-old, who suffered a season-ending ankle injury in November, finds himself out of contract at the end of the current campaign and, as it stands, he will be available to sign on a free transfer in the summer. News of ​Palace's interest in Welbeck comes from the ​Mirror, who note that Eagles boss Roy Hodgson is a huge fan of Welbeck and may authorise the transfer if the England international can prove his fitness. This season, Welbeck found himself operating firmly as a reserve option under Unai Emery. He made just one start in the ​Premier League before his injury, registering one goal and one assist in his eight outings. However, he racked up four goals in six cup matches this campaign, and Hodgson is said to be keen on adding a forward with Welbeck's goalscoring capabilities to his squad. Goals have proven to be a serious issue for Palace this season. The Eagles currently sit 14th in the Premier League and have had to rely on goals from midfielders to keep them away from the relegation zone. Defensive midfielder Luka Milivojevic leads the side's scoring charts with seven strikes, with forward Jordan Ayew struggling to impress and Connor Wickham sidelined. First-choice option ​Christian Benteke has recently returned from an injury which sidelined him for the majority of the campaign, and the club also secured the loan signing of ​Chelsea forward ​Michy Batshuayi, who played a huge hand in his side's second goal in Saturday's 2-0 victory over ​Fulham. Hodgson is said to be keen to secure a permanent signing for a forward, and could look to take advantage of Welbeck's expiring contract by securing a free transfer in the summer. The ​Arsenal forward, who is comfortable both in a central role and on the wing, has registered 32 goals and 15 assists in 126 appearances for the Gunners. Unfortunately, injuries have hampered his career, forcing him to miss 102 games for the club since joining in 2014, and that number will only rise as Welbeck is forced to sit out the remainder of the season.